Published March 24, 2014 at 640 × 480 in Landscapes and Seascapes. The Storm 16x20 - Feb 2 1976 on Groundhog Day a storm developed with such severity, those who had witnessed the untamed forces of nature, is permanently etched in their minds how it spread a path of destruction throughout this area. This scallop dragger was coming back from The Georges Bank and ran into this storm. 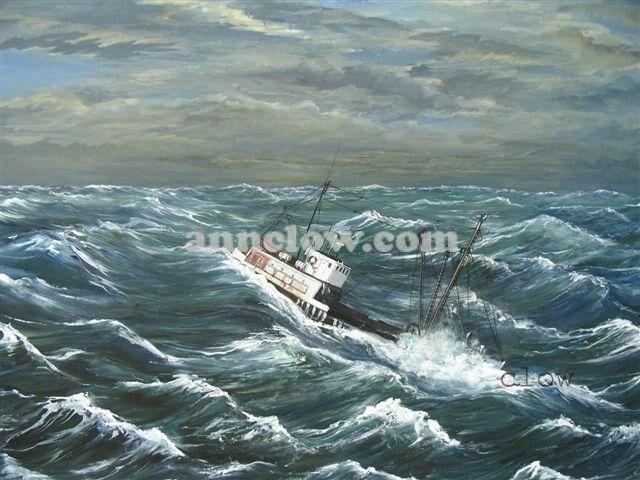 I was able to captures its fury in a painting because I was given a photo by crewman from another vessel. Both the ship and crew arrived back in Yarmouth Harbour safely.